How to measure performance on server? I am looking to measure the processor, network, Disk I/O and memory for a web server running a program and not for the machine running StresStimulus. What would be the best way to measure these values. 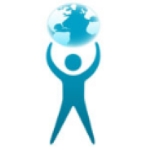 StresStimulus can monitor up to 25 different Windows performance counters. By default there are a few added from the local machine, but you can replace them or add more from any of your server (web or database). So all the counters that you listed can be added. In v 2.5 you can add performance counters directly from the toolbar Graphs toolbar, as shown below. 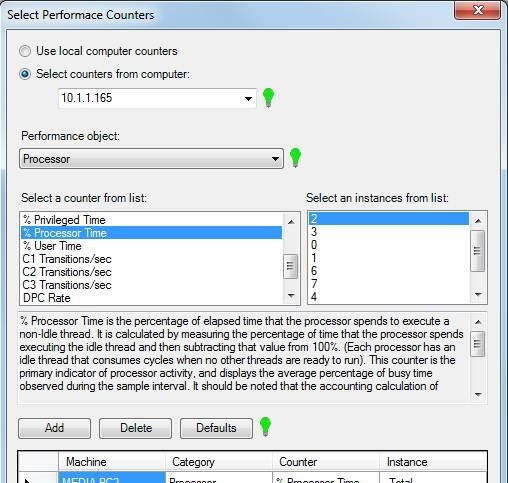 For example, to monitor your server's CPU utilization, select “Processor “ in the Performance object drop-down, and % Processor Time in the counter list. Once the performance counter works with Perfmon, it will work with StresStimulus as well. Thanks. I am trying to measure the processor, disk I/O, network and memory usage for an application. I figured out how to add performance counters, but there are a lot of different counters that can be added and it is hard to tell which is the best option. If I were to measure the processor, disk I/O, network and memory usage what would be the best performance counter to use. Below I provided frequently used Windows performance counters from the categories that you have requested.